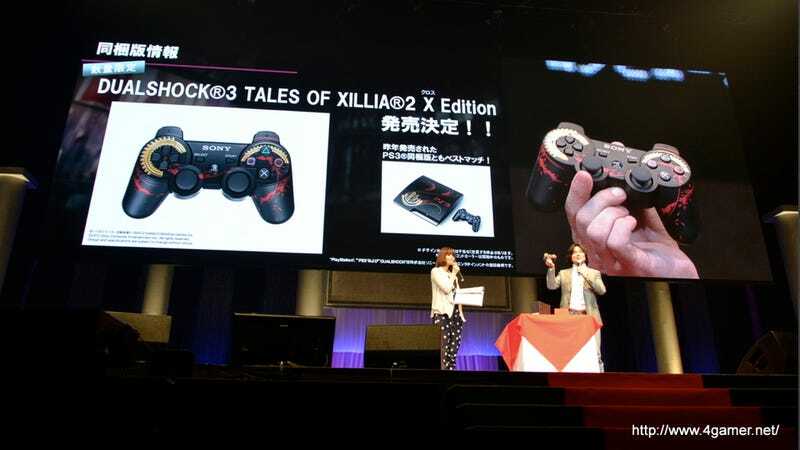 If you are keen to snag upcoming role-playing game Tales of Xillia 2, know that Sony is also releasing a Tales of Xillia 2 controller—a controller that is a "best match" for a special PS3. From 2011. Last year, Sony released a truly lovely Tales of Xillia PlayStation 3, but it came with a plain old DualShock 3 controller. So if you have a Tales branded PS3, you should be happy that Sony is finally releasing a controller to go with it. What game hardware will the inevitable Tales of Xillia 3 bring? Oh the mind boggles.